When Twitter launched about 12 years ago, it started off as an SMS-based service. Soon after its launch it became a website and it took off at becoming used by many members at South by Southwest (SXSW). The early users of Twitter helped define some of the many conventions that have become a mainstay of many social networks. A couple of examples of the items that have become standard are the @ symbol to indicate that you want to reply as well as the # for use as a hashtag to help identify a post for easier tracking. Another area where these long-term users have helped Twitter is through the creation of third-party Twitter clients. Initially Twitter was just a website and provided an API for developers to connect to. These third party Twitter clients have allowed for different experiences and this is where many of the features that are used everyday are developed. 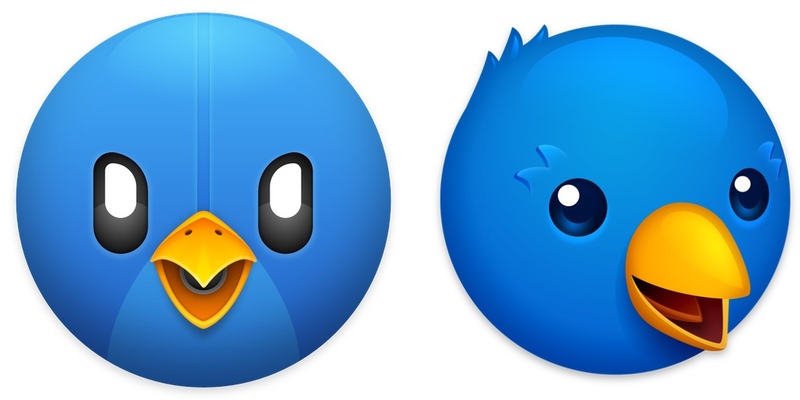 One particular third-party client, Tweetie, was purchased by Twitter and became the official Twitter app. Starting today, August 16th, 2018, many third-party clients will no longer be able to work as they had before. This is due to Twitter retiring a set of APIs that developers used to provide these features. A couple of the features that will no longer be available to third-party apps include real-time streaming, statistics, and instant direct messages. For most users, this may not be noticeable, but for there are times that these features, like real-time streaming, come in handy. For many users, the biggest reason for continuing to use a third-party Twitter application is the reverse chronological timeline, which the official Twitter app and website no longer offer. Along with this, third-parties offer apps for the Mac, which Twitter also no longer offers. What this will result in is that your timeline will only refresh every minute or two. Direct messages will also be delayed. For real-time events, which are often what Twitter is known for. All of these changes are designed to have people use the official Twitter client, which is makes sense given that there are ads in the official Twitter client, but not in third parties. However, these changes, along with others issues surrounding Twitter, has left many individuals questioning whether to continue to use the service or not. Personally, for me, I am not sure what the end result will be. It is hard to abandon the service all together. This is not only because it is the social media service that I use the most, but also because it is where my biggest following is, ergo it is where I have the biggest reach for things like these posts as well as advertising my apps and books. At the same time, it is not hard to think that some of these moves will ultimately going to end up pushing away the group of users who helped Twitter get to where they are today. I get that the “super users” make up less than one percent of Twitter’s overall base, but without them, Twitter would likely not be where it is today.